I took a walk in the desert this morning and saw my first mal mujer, or wicked woman—a flower that blooms in the hottest days of summer shortly before the welcoming monsoon rains. 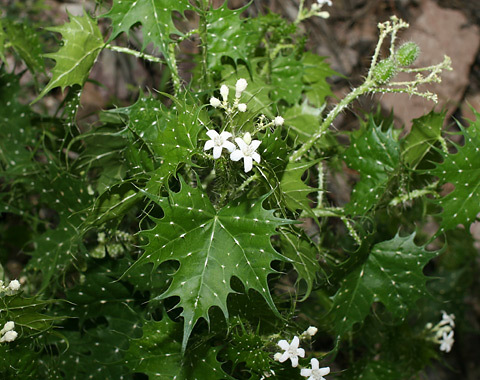 It is a curious flower, with lush green leaves and a beautiful pristine white flower. If you touch the leaves your fingers are full of nettles which can sting for hours. Mal mujer is a fitting metaphor for the events of the past weeks. There is a stinging pain which touches the hearts of the people of the borderlands as they watch the drama of thousands of children fleeing for their lives from Central America. The children are young, innocent and pure. Just like the white flower of the mal mujer flower. An unprecedented surge of unaccompanied minors are crossing into the US; most are from Central America. An old storage facility in Nogales, Arizona is presently the temporary home for over 1000 children. And we tell ourselves, well, it is better that they are sheltered and safe in a warehouse. Perhaps. And we convince ourselves that better days are coming for these children. Perhaps. They will be reunited with their parents. They will be safe in loving arms. Perhaps. 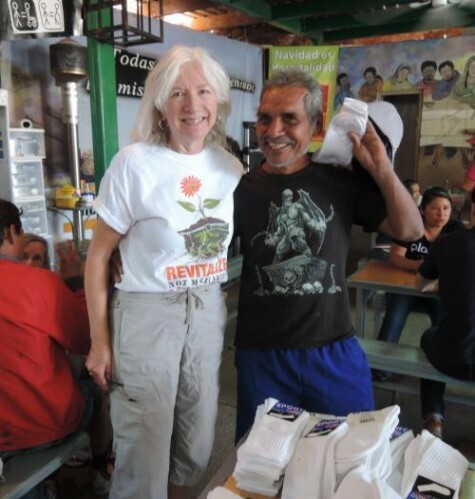 The Samaritans volunteer weekly at the aid station in Nogales, Sonora, known as el comedor. We have a good sense of the numbers and population patterns that pass through this shelter. Since the federal agencies (Health and Human Services, FEMA, and Homeland Security) do not want local community humanitarian groups to be directly involved in the care of the children, I cannot give a first-hand account about what these kids are experiencing. It has been both perplexing and confounding to be shut out of the warehouse which holds the children. Yesterday, June 18, a group of journalists were allowed access to the compound at the Border Patrol station for the first time. Their reports were sobering. This is not summer camp for these youngsters. This is a tragedy. The place looks like a prison—another detention center—and the prisoners are over 1000 children. Their physical needs are being taken care of; their emotional, spiritual and recreational needs are not. I am told the children look tired, sad, and depressed. Many are in tears. I’ve been naïve and trusting before about too many things: the Iraq war, the surge in Afghanistan, Wall Street bailouts, even Lance Armstrong. So forgive me if my gut tells me that there are too many secrets within the walls of the warehouse in Nogales. My mind wants to believe that DHS, FEMA and HHS are handling things just fine; but my gut is telling me to be wary. I get emotional about all of those children. My account is probably less nuanced and more emotional. It’s personal. 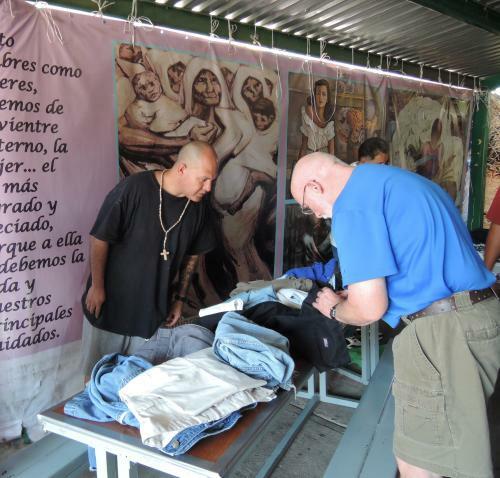 In southern Arizona there are local humanitarian aid groups that have been working effectively with issues of immigration for years. They have trained personnel that are trusted members of the community. Their track record is exemplary, and far superior to the Department of Homeland Security, the Border Patrol, and FEMA in terms of violence toward migrants and responsiveness to humanitarian crises. Reports of abuse toward women and children from Border Patrol agents and ICE have been well documented in the past. I have personally seen and experienced rude, impersonal and sometimes shocking behavior from both ICE and Border Patrol agents over the past several years. So why has the government placed these agencies in charge of 1000 vulnerable children in a warehouse in Nogales? I understand the need for security and protection toward displaced children. However the secretiveness and black-out of information of these federal agencies breed suspicion and rumors when you are on the outside. There is no collaboration or networking with the locals who have lived for years with immigration issues involving children. Father Sean Carroll, the Executive Director of Kino Border Initiative, was allowed into the Border Patrol compound last week. He saw many of the children, but was not allowed the opportunity to speak with them and assess their situation in any depth. Physically they look pretty good, he reports, and have their basic needs met. They are receiving three meals a day and snacks in between. There is a playground and tent area set up for recreation, (45 minutes of playtime each day) and the children have television access and telephones if they know how to reach family members. The federal agencies have responded quickly to the situation. I applaud them for their efforts. I know there are some real heroes working with these kids. And most likely there are some agents who have no business being around children. 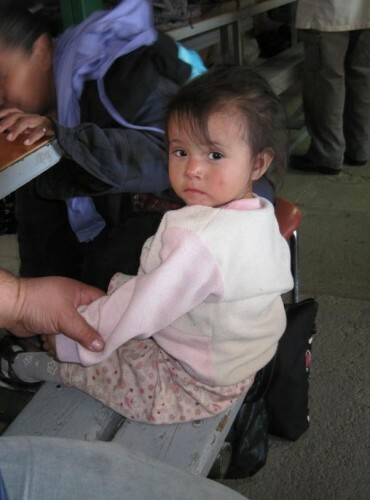 The children will be processed through the Nogales warehouse facility, and then moved to another location. Where they go next is unknown to the public. I don’t know what “processed” means. Will the children be reunited with family members here in the US? Or will they be deported back to their home country from which they fled? Will they be left at a bus station in some city and left to fend for themselves, as I have read in numerous media accounts? If no one can find a close relative, will they be held indefinitely? The numbers of men, women and children fleeing Central America (Guatemala, Honduras, El Salvador) have been increasing at the comedor. This is nothing new. Children as young as twelve years old are often seen getting ready to cross into the desert without an adult or parent. They tell us that they are fleeing for their lives. They speak of gangs, poverty and violence. Sometimes they are fiercely resolute and brave; often they are crying quietly off in a corner. A young man from El Salvador told me that he had seen friends killed by gangs in his home village. 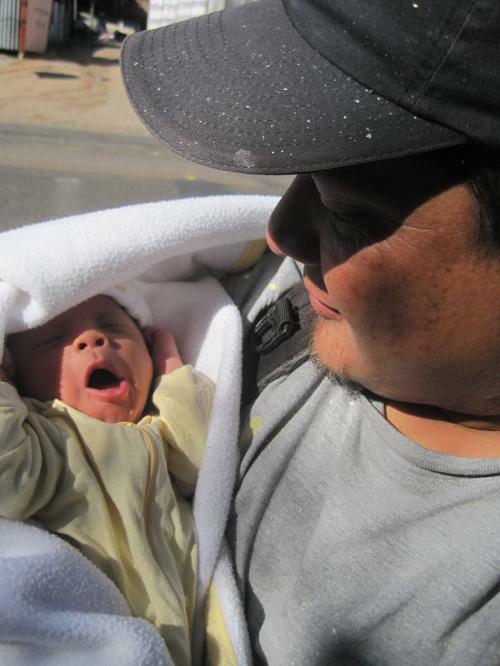 Many are planning to cross into the US in order to reunite with a parent or family member. They have a plan. They are not wandering aimlessly. They have a destination. Children want to see their mothers, their fathers. Their sense of miles and direction are hopeless. They tell me that they have no choice. 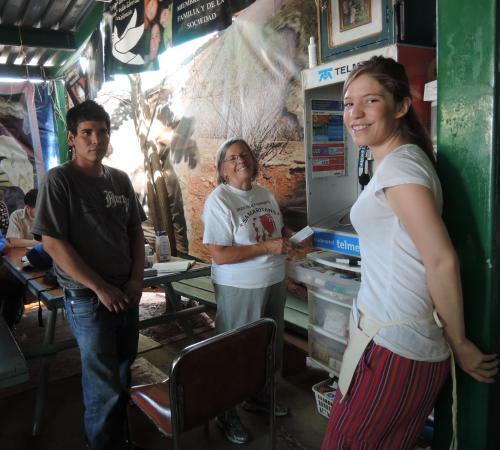 Juanita Molina, of the Border Action Network, was allowed access into the compound in Nogales yesterday, June 18. She writes of a little girl from Guatemala, age 7, who was crying, standing apart from the other children. She told Juanita, “I am lost and no one knows I am here. My mother will never find me.” The child was inconsolable. Juanita told this child that she will not forget her and will do everything she can to help find her mother. I cannot get the words of this child out of my mind. The children are traumatized and many have traveled via the infamous train, la bestia (the beast), which runs through Mexico to the US border. Many have been robbed, beaten and raped. They sit quietly at the comedor, eat their breakfast, and stare into space. A young man from Honduras, age 15, told me that he had been traveling for one month in order to reach the US border. He wants to reach Los Angeles where his family lives. Several weeks ago, one child at the comedor, maybe age 12, drew a picture of his capture in the desert by the Border Patrol. His crayon drawing showed a bush where his uncle was hiding; it showed helicopters and cactus and mountains. In the middle of the drawing the child drew himself with a “soldier who put his boot on my head.” The child was pinned to the ground by a Border Patrol agent who held him in place with his boot, digging his face into the dirt. 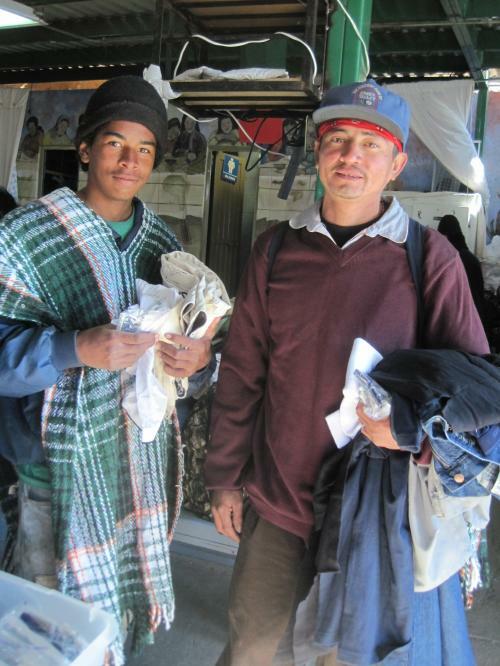 One 14 year old from Honduras had not seen his mother in six years. He was on his way to Kansas, traveling alone through Mexico to reach the US border. He was strong, resolved, and determined when I spoke with him. Samaritans warned him of the desert in summer and the miles he must walk to reach the nearest town. He shrugged and gave a shy smile. Connecting with several other young men, he planned to continue his journey with them. He just might make it. Many do. The media and talk show pundits are taking a humanitarian disaster and using it for political advantage. There are the anti-Obama rants claiming that a lax immigration policy is the reason for this tragedy. (even though Obama has deported more undocumented migrants than any President in the past.) This whole scenario disgusts me. The migrants I have seen the past few weeks have no idea that there is a surge of children crossing the border into the US through south Texas. The notion that these children are aware of US policies regarding the possibility of leniency and asylum if they are caught by the authorities is ludicrous. When I mention the large numbers of children in a Nogales warehouse, the migrants at the comedor do not know what I am talking about. And yet it is plausible that migrants talk to each other and compare notes. Who did you cross with? How much did it cost? Where is the easiest place to get over the wall? If you’re caught, what happens? People ask me why I continue going down to Mexico each week to serve breakfast to the migrants at el comedor. I think it comes down to this. We have eye contact and often share a hug. We look at each other. We physically and emotionally touch each other. We shake hands and share a laugh. We don’t look away when we talk about life experiences. I feel connected with these people at this crossroads to their journey. For once I am waiting on them, serving food, and looking at their wounds, instead of them waiting on me. Latinos in the US often live in the shadows and are invisible in this country. They care for our children, pull the weeds in our gardens, clean our houses, scrub out the toilets in our hotel rooms, and stand on the fringes of our fancy fund-raising events making sure we are happy and comfortable. They do this quietly and graciously. And we never have eye contact. They are on the outside, on the fringes. They have learned to be invisible. I need a connection with people before I can truly be of any assistance. We all do. And this is why it is so frustrating to be kept on the outside of this human tragedy at the Nogales warehouse. Americans like to help. 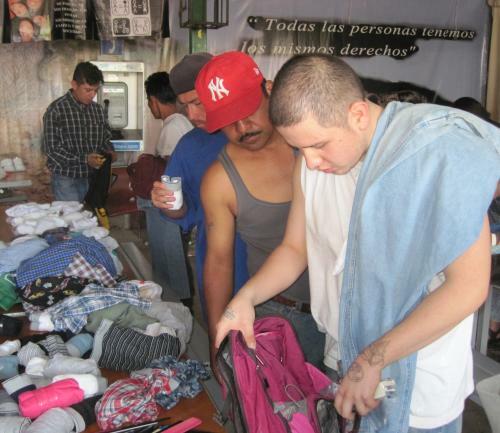 I receive calls and emails about where to send boxes of clothes for the children. Where is the best place to send a check? The plight of the children trying to cross into the US is not going away soon. The media will tire of it and move on to the next world crisis. The question is whether we can mobilize as a country and commit to a profound change in US immigration policy, respecting the dignity and humanity of children fleeing for their lives. Please direct your comments to the “Comments” section of this blog. 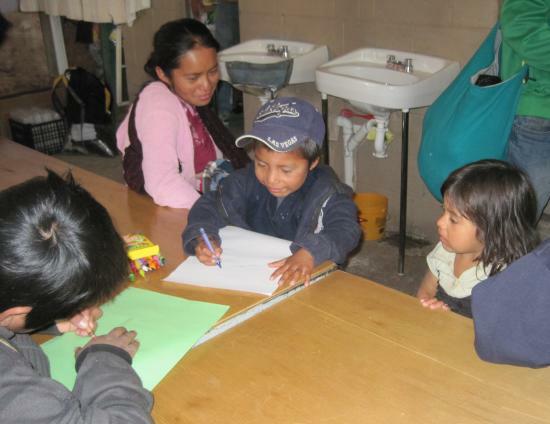 The photos of children in this posting are several years old and were taken at el comedor in Nogales, Sonora. 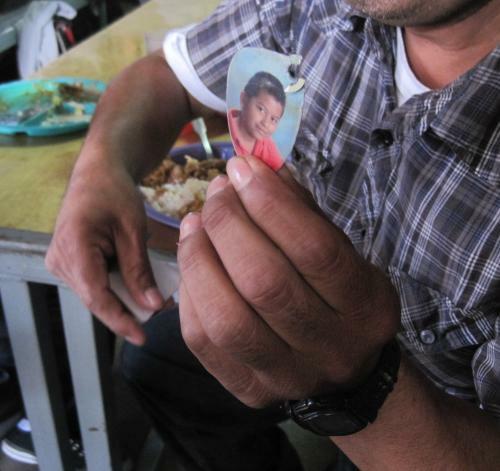 They are not photos of children presently held in the warehouse in Nogales, Arizona.